Color flag of Netherlands Antilles. 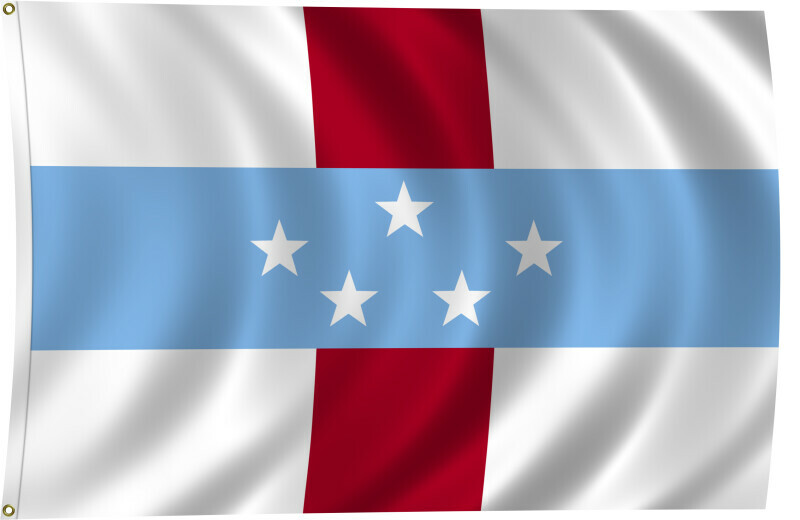 White, with a horizontal blue stripe in the center superimposed on a vertical red band, also centered; five white, five-pointed stars are arranged in an oval pattern in the center of the blue band; the five stars represented the five main islands of Bonaire, Curacao, Saba, Sint Eustatius, and Sint Maarten. The Netherlands Antilles was dissolved October 10, 2010. Flat color and black/white versions of world flags are available on the Clipart ETC website.